Two SUNY Ulster alumni and former staff, brothers Anthony and Jonathan Marinaccio, have opened AmFit, a personal training and group fitness location in the town of Ulster. 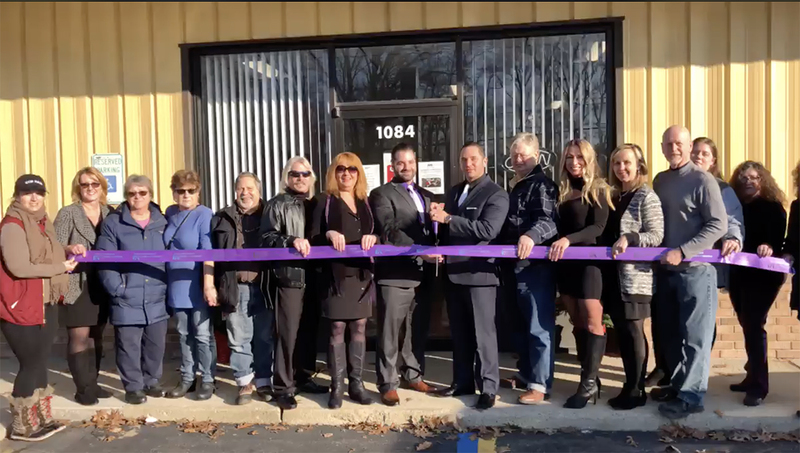 A ribbon-cutting ceremony for the new business was held on December 11. AmFit is the product of Anthony Marinaccio’s passion for fitness, offering personal training, digital fitness coaching, and group fitness exercises by two experienced wellness professionals. Personal training and group fitness classes are tailored to meet clients’ needs and goals. AmFit is located at 1084 Morton Boulevard in the town of Ulster. Those interested in their services can visit www.amfit.net to learn more. The brothers, graduates of Ellenville High School, both got support on their professional journeys at SUNY Ulster. Anthony graduated in 2004 with a Liberal Arts: Humanities and Social Sciences degree, and then later in 2011 with a Theatre Arts degree. Jonathan graduated in 2012 with a degree in Individual Studies. Both worked at SUNY Ulster, Anthony as an Assistant Coordinator of Technical Services, and Jonathan in Maintenance. Anthony now lives in High Falls and Jonathan in Highland. For more information, contact Deborah Kaufman at kaufmand@sunyulster.edu or by phone at (845) 687- 5261.